Today is a bright and sunny day. So many of my friends and family have been sick with colds, flu and pneumonia. And you don’t want to repeat the cycle to have another family member get sick from the germs in the home. What’s a family to do to get the germs out of your home? The easiest way is to plug in one of our air purifiers that will kill germs in addition to clean your air and have the scent of a fresh spring day (without using chemicals). This technology runs 24/7 to keep your home clean and healthy. Your second choice is to open your windows and doors and let the outdoor air come in as some of your indoor dirty, germy air escapes to the outside and mother nature will handle these germs. You hope all the “bad guys” are gone. 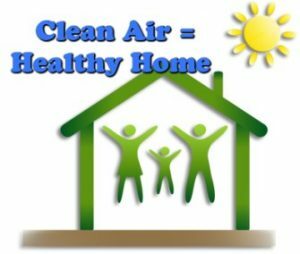 Our air purifiers use the same technology as Mother Nature to make your home/office “the healthy place” for you and your family/co-workers or guests. Are you ready to control the air your family breathes today and every day? Everything travels on the dust particles you breathe in — this is toxins, germs, allergy triggers, mold, pet dander, dust mites, odors, and pet dander. The positive and negative charges that are found outdoors are used in our air purifiers to grasp the dust and drop it to the floor. This means you are not breathing it into your body. You are now breathing clean air. What is your health worth? I’d rather spend a few pennies a day and not suffer from the consequences of dirty air. How about you? Prevention is the best medicine. Make the change today. Just plug in our air purifier and know you are controlling the air you breathe and not just hoping you will not get sick. March Madness 2013 and Allergies No Colds or Flu for Me!